In today’s fast growing high-tech businesses and cutthroat competition, a wide range of influential marketing techniques is used and one of them is mobile marketing. Multiple versions of this marketing approach are in vogue and largely implemented such as bulk SMS, SMS reselling, Email marketing etc. If you scout online, you will be able to find a mass of companies offering the services to meet the different marketing needs of different clients. 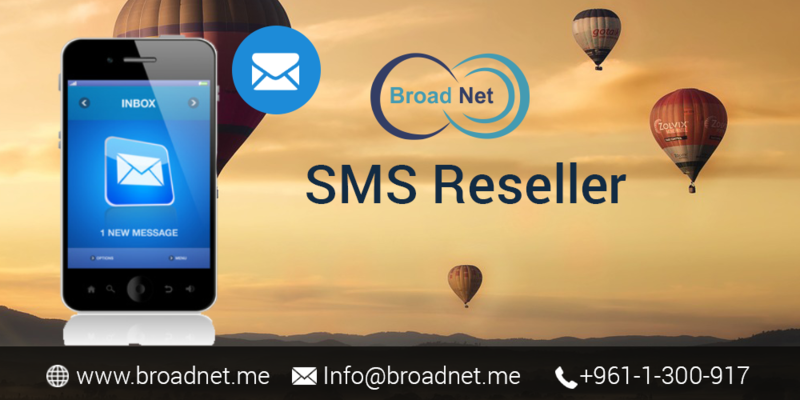 Amongst the topmost brand names in the industry includes BroadNet Technologies, which offers bulk SMS and reseller services at unbeatable price rates. We are armed with a team of accomplished telecommunication professionals who are committed to understanding and meeting the needs of the clients very well. Each of our professional is adept in the services, carries great experience, and with this in mind, client’s satisfaction is guaranteed. After coordinating every fact, we get the entire strategy ready to put every idea into effect. So every time we take up any new project, we consistently bring innovative techniques into effect, which work wonders in reaching out to the targeted audiences of a business. If you are looking to hire the most available Bulk SMS Reseller plan in the industry then you only need to get in touch with us and rest assured that everything will be done adeptly whilst giving meticulous attention to your each and every detail. By putting mobile marketing into effect, it is possible to reach out to the mass of the targeted group and that too after defining your targeted prospective. You can just choose our award-winning Bulk SMS services and get your job carried out in the least span of time. BroadNet Technologies, being a leader in Bulk SMS services, we assure you of most dependable and cost-effective service. Shaking hands with us assures you scale journey towards scalable success. Also apart from getting highest grade bulks and reseller services, another best thing that you will receive at our end is the most affordable prices we charge.